Every number by Tapta — a change-all-the-rules-and-everything kind of Manipuri singer, who has enthralled us with his change-all-the-rules-and-everything songs — can be rendered into a haiku. And some introduction. Bombula, in Manipuri, means crackers; while haiku is a Japanese poetry that comprises three lines of five, seven and five syllables each. So add bombula and haiku and we have got this cracking and blasting blog! Inspired by Haiku 61 Revisited: Bob Dylan and more. 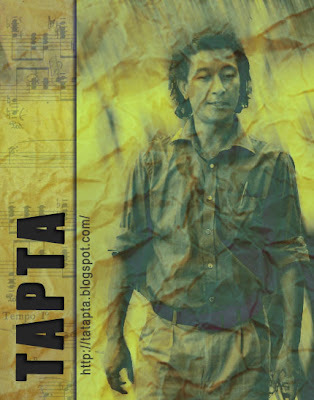 You are most welcome to the Tapta Fan Club on Facebook. Haiku 61 Revisited: Bob Dylan and more. Difference between Final Cut Express (FCE) & Final Cut Pro (FCP) ! RHR has also moved to the Defying Moments! Lily & the Willow Tree. 2011 © Kapil Arambam. All rights reserved. Watermark theme. Powered by Blogger.